for a fool all you kids was played for fools. and then at the wal-mart and on the street corner?! why the hell does he have to ask your name when your sitting on his lap? Did your Santa smell like Pee and Burbon ? Thats cause you little bastards drive him crazy . 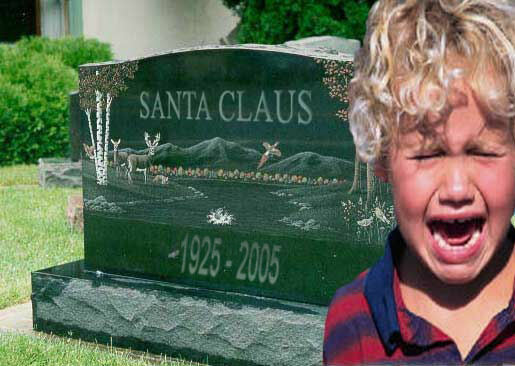 Yes Kids Christmas is truely DEAD!!!!!!!! !